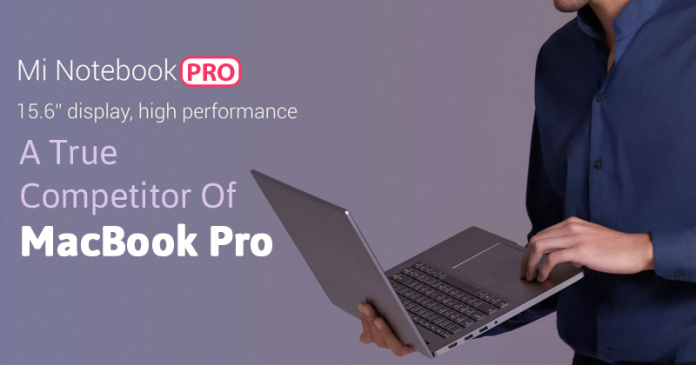 Just after the launch of the much anticipated Mi Mix 2 and the Mi Note 3, Xiaomi launched another device which is the Mi Notebook Pro. The new Notebook is the successor to the Mi Notebook Air which was Launched last year and also a direct competitor to Apple's MacBook Pro with half the price. Xiaomi is no doubt one of the most relevant China tech company due to its innovative devices and value for money. The company recently entered the Notebook market with it's Mi Notebook Air which caught attention and was greatly accepted by Notebook users. Now, the company has decided to follow up on that with it's new Mi Notebook Pro. The Mi Notebook Pro features a 15.6-inch display with Corning Gorilla Glass 3 protection. It is powered by an 8th generation Quad-Core i7 processor, which guarantees 40% more performance than the previous generation, a dedicated Nvidia MX150 graphics card, 8GB or 16GB Two-channel DDR4 RAM and 256GB PCIe SSD. It features an all-aluminum body with a 19 percent larger backlit display than the MacBook Pro, multi-function TouchPad with an integrated fingerprint sensor, 60Wh battery, Harman Infinity speakers with Dolby Atmos and two 802.11ac Wi-Fi antennas. It also has 7 integrated ports and fast-charging Type-C USB charging slot, achieving up to 50% of the battery capacity in just 35 minutes. It has a cooling system composed of two fans with the capacity to increase air circulation by 40%. 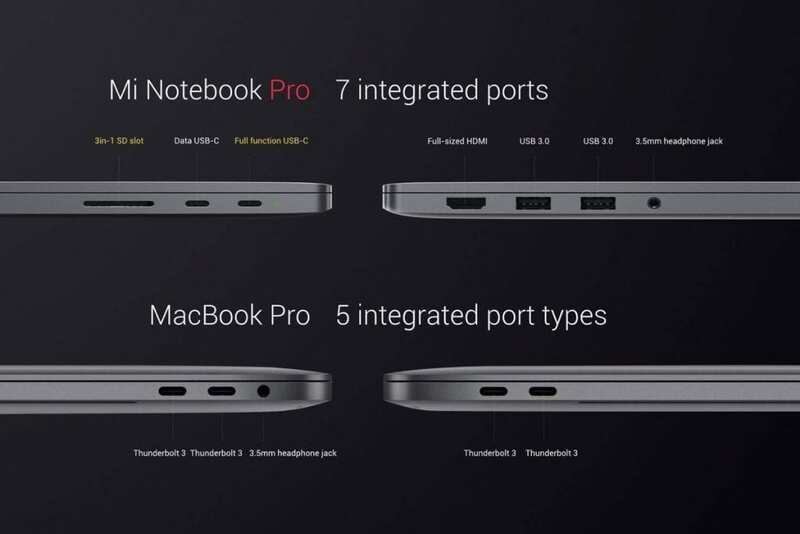 The Mi Notebook Pro comes in 3 different variants. The first with an i5-8250U processor and an 8GB RAM goes for $860 (N309,600), the second with i7-8550U processor and 8GB of RAM goes for $984 (N354,240) and the top version with 16GB of RAM goes for $1076 (N387,360). According to reports, the device will be available by next month.